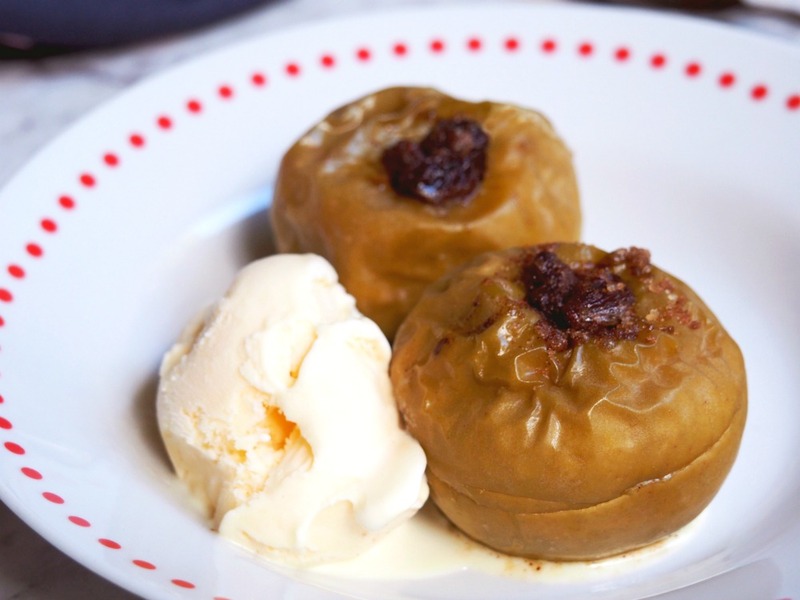 These baked apples are a simple but delicious dessert – a real winter warmer! I remember eating these growing up but in the UK we have those outsize Bramley cooking apples – they’re so good. Alas, I’ve never seen Bramelys down under but it’s OK because good old Granny Smiths do the job nicely. As I’m going away to the UK for a month and will be having an enforced kitchen sabbatical, I’ve been going into overdrive in the kitchen and making over recipes like they’re going out of fashion and this is one of them. I actually waited until David had a work night out and then invited my neighbour Luce down to dinner so we could eat all the things David doesn’t eat, including these baked apples! It was quite a feast, I can tell you. I served them with ice cream but only because I had created my own kitchen apocalypse and couldn’t face making more mess with custard. However, in an ideal world, I’d serve these with custard and ice cream and have a bit of both because an ice cream/custard combo is hard to beat. You have to try it! 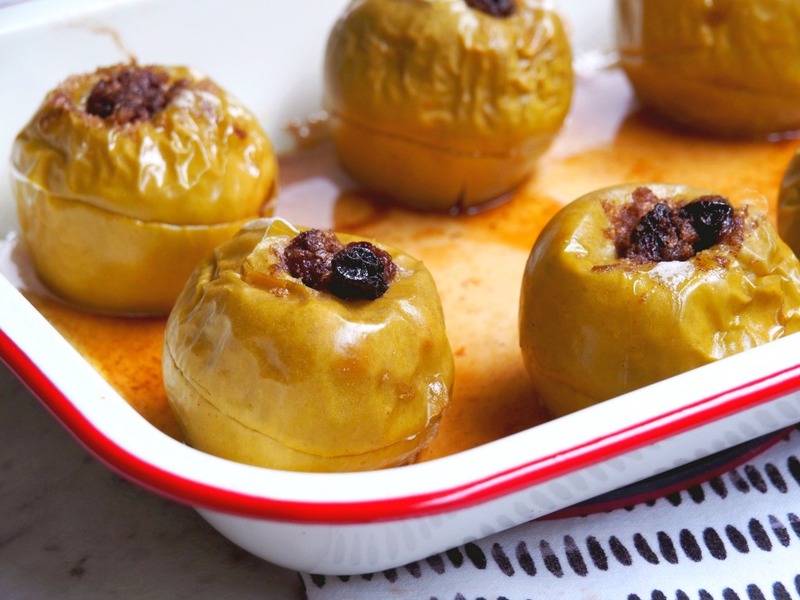 This is one of those weird recipes where the pre-cooked dish looks better than the end result but don’t worry because these apples taste amazing thanks to the apple, sultana and brown combo – it’s a taste trifecta, I tell you! 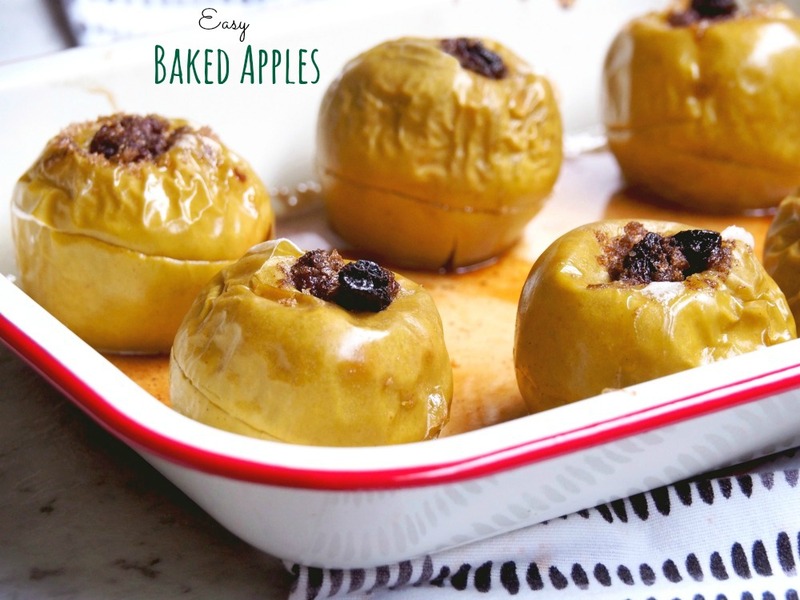 The best thing about these baked apples is that you can make them ahead and just heat up in the microwave just before serving, it’s magic! Are you on Team Custard, Team Ice Cream or both? Are you a messy worker in the kitchen too? Score around the diameter of each apple but try not to cut all the way through. Core the scored apples. Combine brown sugar, cinnamon and sultanas in small bowl. 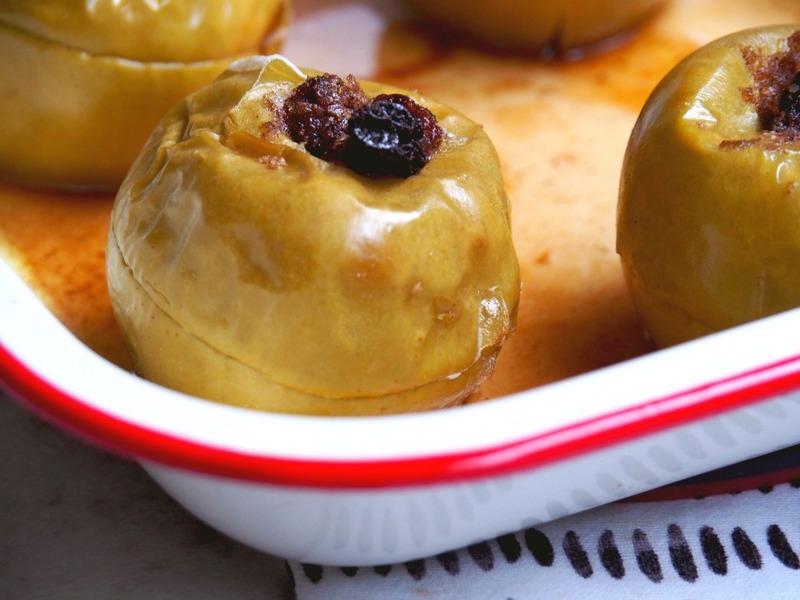 Stand the apples in baking dish and pack the cinnamon sultana mixture firmly into the holes. 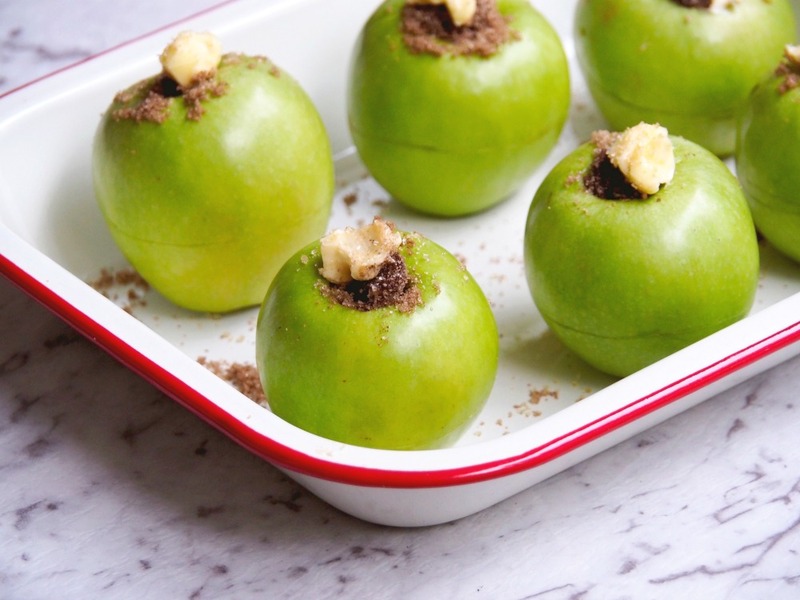 Top each apple with a small blob of butter and sprinkle with the demerara sugar. Bake, uncovered, for about 20 minutes or until the apples are cooked through. Serve warm with custard or ice cream, or ideally both!